In 1899, an extraordinary young athlete ascended to the heavyweight championship of the world. He was an outdoor man of free spirit, not given to boast or loud manner, and he had little use for public acclaim. Yet many who saw him maintained that he was the greatest heavyweight fighter in ring history. Here is the story of James J. Jeffries. … “through tireless research, Professor Nicholson brings to life the entire Jeffries, not merely the White Hope of popular image, the shell of a giant battered by [Jack] Johnson… But the whole of the man. A story long needed in its telling is here. 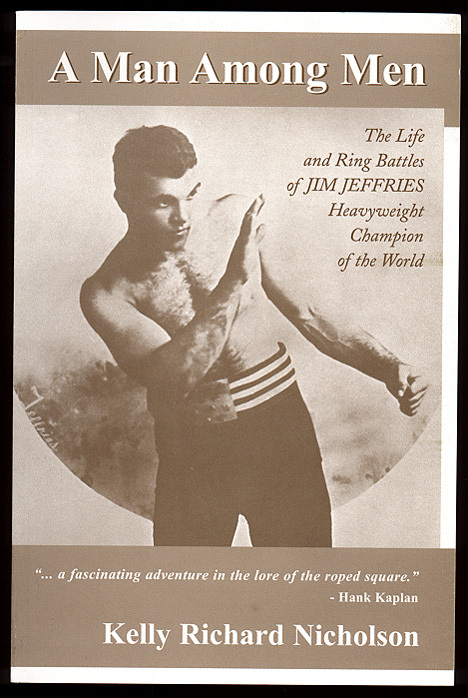 Posted in Uncategorized and tagged boxing, History, James J. Jeffries, Kelley R. Nicholson. Bookmark the permalink.